However, the apparent authentication crisis is not nearly so widespread as the aforementioned widely publicised cases might lead one to believe. Most forgeries enter the market at the bottom of the food chain: through flea markets, thrift shops and internet sites like eBay. These low-cost fakes are usually identified before they can enter the high-end art market. Very few forgers have the talent to create original compositions similar enough in style to a famous artist that they fool even moderately informed people, let alone experts. However, as the Beltrachi and Knoedler cases demonstrate, the stakes can be enormous when a forger manages to breach the art world’s established defences. The conservation scientist James Martin, who unmasked the Knoedler fakes by proving the paintings were created with anachronistic, atypical materials, likes to compare the authentication process to a three-legged stool of connoisseurship, technical analysis and provenance. As works are systematically examined and catalogued, the stylistic nuances of individual artists become clear, and patterns of ownership also make themselves known. 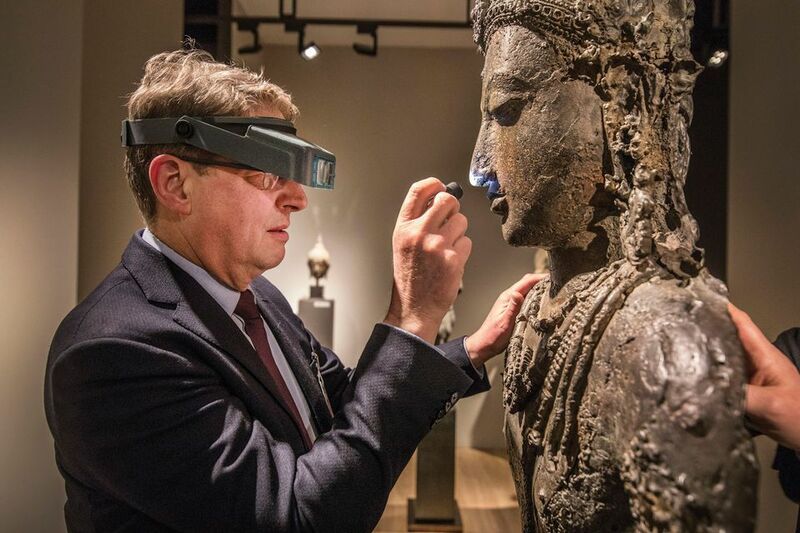 Art authentication is not, and probably never will be, an exact science. This does not mean that the experts who make such judgements are incompetent or capricious. Nevertheless, we live in a world of “alternative facts”, in which everyone’s opinion is deemed equally valid, and anyone can find an “authority” to say whatever he or she wants. The current authentication crisis arises from a confluence of populist anger at the very notion of expertise, the inherent subjectivity of the authentication process, and dizzying art prices.